As the steam rose off the asphalt in the summer heat, so did our tempers. Entitlement runs deep this time of year, both in my heart and in theirs. The downtime that is inherent in the summer allows our minds to wander toward all the things we don’t have, but wish we did. As the dog days seem to lengthen towards infinity, and my patience dries up, their standards of what our lives should look like gets higher and higher. It has been a struggle since my oldest uttered her first “I want that” to raise my children with a reasonable sense of reality. 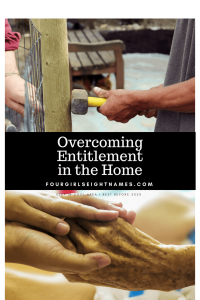 I can’t say that either my husband or I were raised with any sort of unreasonable hardship; within their control, our parents provided for our every need, and most of our wants. We were exceptionally lucky, and we would never deny our children a similar life. But where do we draw the line between loving our children unconditionally and raising them with the knowledge that they are not the center of our world, or anyone else’s? In other words, what is the best way to communicate to our children just how fortunate they are? And help them realize, without making them overly anxious, that there is true suffering all around them? My older two daughters are beginning to realize that a lot of bad stuff happens, both in the world and in our hometown. 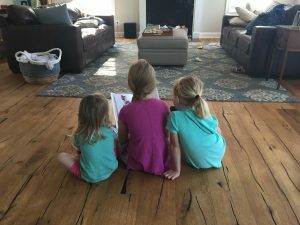 My sensitive oldest child is quick to tears; if that can happen to another child, what is to stop it from happening to her? Our rising first grader is famous for shutting out the pain, despite my encouragement to talk about her concerns and fears. She is quick to internalize as her main coping mechanism, instead of wearing her heart on her sleeve like her older sister. Both responses cause me to pause before introducing reality to my girls. When reflecting on my own past, it wasn’t until I started working in health care that I realized how good I had it. And when my career took me to the sickest of the sick in a major academic medical center, my distorted perception of reality was thankfully replaced by a general feeling of gratitude. But how do I get my children to this point? There are books that detail processes that have worked for other families , as well as helpful guides published by academics. I have found it is truly such a personal process for each individual parent and child that there can’t be a one-size-fits-all prescription for learning gratitude and minimizing entitlement. Jim and Lynn Jackson, the founders of Connected Families, have a course that takes parents through the process of setting reasonable expectations with their children. Over time, parents ask for their feedback, and ultimately point children toward their larger purpose in the world . 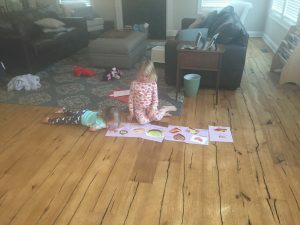 It does take time (oh, so much time) for it to click, but the most important piece of information I learned through taking their course was that my children were acting exactly as expected: like children. 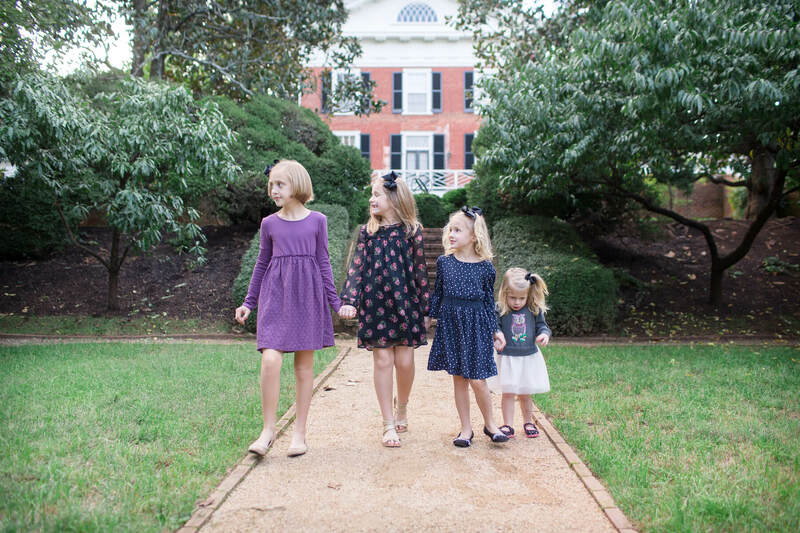 Our daughters, just like their entire cohort, are searching for “feel good” moments in their daily lives. Moments of affirmation that tell them they are doing life well, and give them a much needed and sought after surge of dopamine in their brains. But just as they come by their sense of entitlement innocently, so they also can be guided by their parents to get their “dopamine hit” through other channels. And these channels may not have themselves at the center. The Engineer and I brainstormed ideas for teaching our children gratitude and minimizing entitlement. Truth be told, it took us some serious time to figure out how and when to approach it. We needed something that would actually show them suffering and leave an impression, but without scaring them. We also needed to make sure that they would be safe in the situation, but not necessarily comfortable. I hoped opportunities like this would abound in the summer, but I found quite the opposite. It was really tough to find options for giving open to children their age. At least, opportunities that were beautifully packaged and obviously apparent. Instead, I have found the best teaching moments for our whole family (not just our children) are subtle. Thankfully, the opportunity we were looking for was right in front of us. It is impossible to open my social media feed without seeing the amazing work our friends and family are doing to make this work a better place. On the surface, it would be easy for me to be discouraged. But I know this is not my season for grand gestures or life changing moves. That may come in the future, but right now, our calling is close to home. Opportunities for service this summer came in the form of our church’s food pantry, by buying produce and school supplies. It took the form of giving our baby toys (accompanied by some tears) to refugees in our community. Selflessness took the form of taking a meal to a friend in the hospital. It meant using the morning to make a card for a friend who’s grandfather just died instead of watching cartoons. 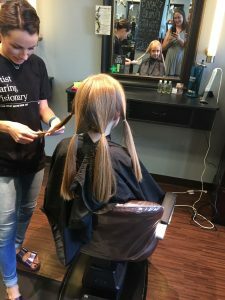 And, one particularly hot afternoon, it came in the form of a Locks of Love donation. On a larger scale, these small actions might not mean great things for the state of the world. At least, not immediately. But, they do mean more for the state of my daughters’ hearts, and also serve as a daily reminder that I need to take the focus away from myself and see how I can best serve in this world. Conversations about providing for others were short and sweet, but it’s our prayer that the impact will be long-lasting. 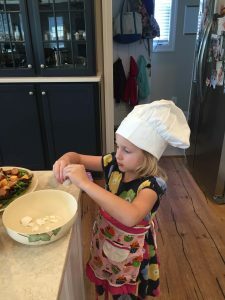 And though there were no randomized-controlled trials involved, I noticed fewer demands and more gratitude when this became a regular part of our days. At the core, this also forced us to review our own feelings of entitlement, since in early childhood, we are our children’s strongest role models. Don’t worry; the girls still think we should take them to Europe tomorrow. But the slower pace of the summer has given us the opportunity to look outside of ourselves and turn our focus to others. They might be in our house, down the street, or on the other side of the world, but there is always someone who needs our help. Blessing abound when you learn to be a helper. Thank you for sharing this Christian. I feel like I’m constantly struggling w this dilema and in search of authentic opportunities and “teachable moments”. Lots of good take aways. Of course! I’m always searching too, and trying not to be discouraged by all the families I think are doing gratitude “better” than me.